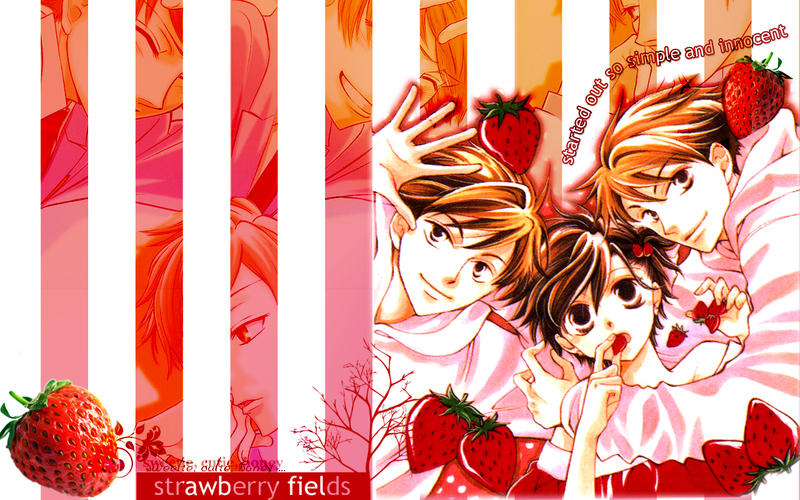 Scans from Ouran, with a few brushes used from Aethereality.net, and a stock photo of a strawberry (I love strawberries, clearly!). The lyrics "started out so simple and innocent" came from Utada Hikaru's "Apple and Cinnamon" song, which was stuck in my head the entire time I did the wallpaper, lol. Cute! The color is amazing and I love the strawberry! Thanks for sharing!